In 2009, I served as project manager for a team of eight graduate students participating in the Federal Home Loan Bank Affordable Housing Development Competition. 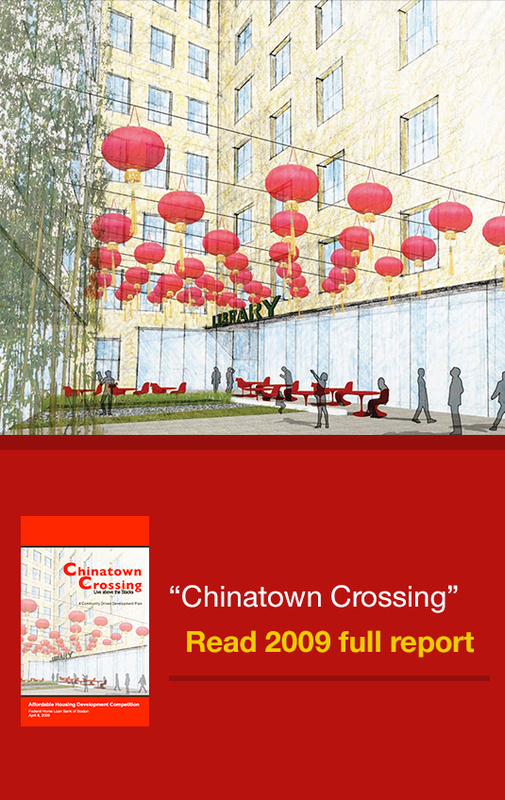 Our proposal, Chinatown Crossing, won first place in the competition. We partnered with the Asian Community Development Corporation to envision a plan for Phillips Square at the historic intersection of Essex and Harrison in Boston’s Chinatown. This plan addresses the community’s urgent need for workforce family housing and desire for civic space. We envisioned converting the 1920’s Verizon building, its adjacent annex, and the surrounding lot on Harrison Avenue into a mixed-income apartment building, with ground-floor retail and a branch of the Boston Public Library, all linked together with new open spaces.